The index opened flat but saw buyer interest from the morning itself to move Nifty up with each passing hour. A small dip towards dying minutes saw huge shorts covering to show all time high only to close a bit lower at 8169.20, huge gain of 78.75 points. The broader market was also positive, with 833 advances to 691 declines. Initial range developing for the series is 8000-8400. Call option 8000-8600 added huge 38.86 lacs OI. Put option 8500-7500 added huge 62.53 lacs OI. 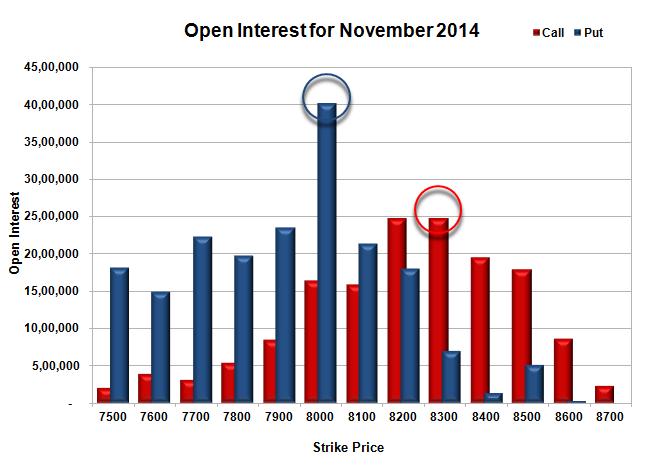 Nifty Open Interest is at 1,85,76,200 up by 43,48,850, with increase in price, probably huge long build-up. 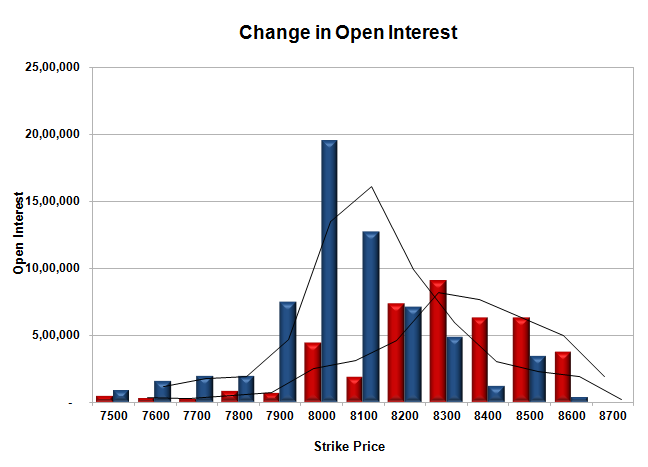 Bank Nifty Open Interest is at 18,33,725 up by 6,17,025, with increase in price, probably huge long build-up. FII’s bought huge 15.66 lacs Futures, which includes 78711 contracts long liquidation and 76494 contracts short covering, with decrease in net OI by 155205 contracts (includes 143913 longs to 112584 shorts for the day) and the average price per contract comes to around 8227.83. FII’s Index future open contract as on date is 296514 Longs to 42926 Shorts, net long 253588 down by 2217 contracts. Initial support at 8100, with huge OI addition of 12.68 lacs and below that at 8000 with huge OI of 40.22 lacs. Initial resistance at 8200, with OI of 24.73 lacs and above that at 8300 with OI of 24.74 lacs. 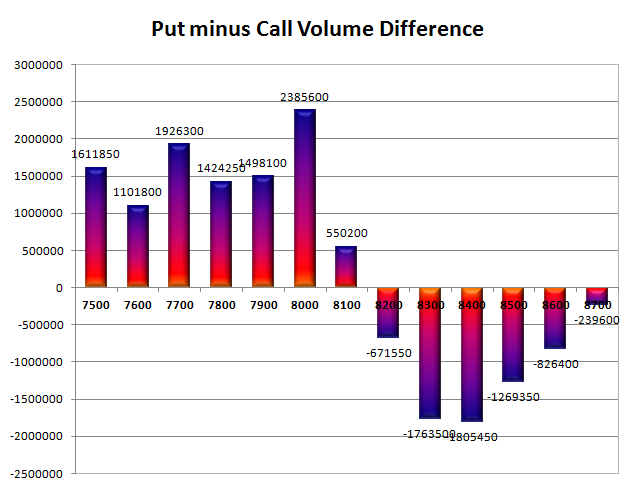 Day Range as per Option Table is 8090 - 8212 and as per VIX is 8112 - 8226 with 8145 as the Pivot.